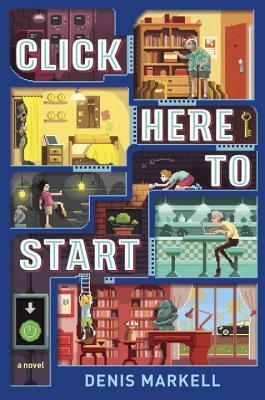 Young fans of Ernie Cline's Ready Player One will love this classic video game inspired mystery filled with elements of Escape from Mr. Lemoncello's Library and From the Mixed Up Files of Mrs. Basil E. Frankweiler. This is Denis Markell’s first novel, and he took writing it very seriously, playing hours and hours worth of escape-the-room games for research (or so he told his family). He also cowrote an award-winning Off-Broadway musical revue and wrote a few musical comedies for the stage; various and sundry sitcoms; a play with Joan Rivers; an episode of Thundercats; two picture books illustrated by his wife, Melissa Iwai—The Great Stroller Adventure and Hush, Little Monster—and Poser, a memoir of his years as a male model. He lives in a small apartment in Brooklyn with Melissa; their son, Jamie; and a Shetland pony name Ronaldo.